We’ve had an unusually wet spring. And you do not need to start watering street trees immediately. But it will become necessary sooner than you think. So if you have a young tree on the sidewalk in front of your house or apartment, please, please keep it in mind this summer and water it. 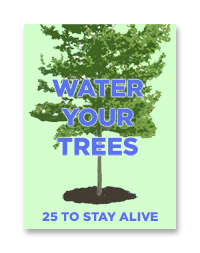 The basic goal you should have is to water young trees at least once a week, so long as you get a good 20-25 gallons of water. 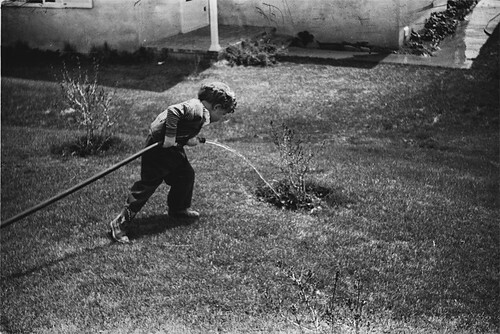 The preferred watering device is the ooze tube (the bags that go around the bottom of the trees). You can differentiate them from the not-preferred gator bags because the gator bags have zippers. (They’re not preferred because they can create an unhealthy enironment around the trunk and you have to remove them after each use.) With the ooze tube you can just fill it up and let it go.